"The woman who could speak of him, and speak only of his appearance!—What an unworthy attachment!" "There is nothing like employment, active, indispensable employment, for relieving sorrow." "They had been instructed theoretically in their religion, but never required to bring it into daily practice." And Miss Crawford's true colors are displayed for Edmund to see too. Phew! As sad as it is for Edmund to realize he's spent all this time falling in love with someone who didn't really exist (not in the way he believed her to be), it's a relief that everything is out in the open. So much is covered in that last chapter, isn't it? In some ways, I'm quite satisfied. I love the lessons tucked into certain characters' stories, like how Tom "was the better for ever for his illness" ("he had suffered, and he had learnt to think, two advantages that he had never known before") and how "education had not given [Julia] so very hurtful a degree of self-consequence" (as it had for Maria; how differently Fanny in her humility had grown up to be!). Of course, I'm also happy for Fanny and Edmund. (I especially love that sweet paragraph about the friendship formed between Sir Thomas and Fanny!) But it's hard to completely love Edmund as a romantic hero, because for almost the whole novel he very clearly sees Fanny as a sister and has romantic feelings for another woman who does not share his morals. I wish we could get more of a glimpse into the transformation of his feelings...to not just know but actually see Edmund regarding Fanny in a new light and realizing how much he loves her. I like the conclusion of their story, but it feels somewhat abrupt to go from the last line of chapter 16 ("Fanny's friendship was all that he had to cling to") to the account in chapter 17. While the timing is fine in how it's told (Edmund takes a while to grieve and figure out his own mind, falling in love with Fanny as he spends more time with her), it would be nice to have some actual scenes of them growing closer together. Perhaps that's not the main point, but still. :) Especially since Edmund spent so much of the book completely misunderstanding Fanny's feelings for him, for Mr. and Miss Crawford, etc.! All in all, I enjoyed the story and seeing how everything turned out. It's not a favorite of mine, but it's an interesting book with interesting characters! Feel free to answer one, two, or all three of these questions in the comments section or in your own blog post! 1. Do you think Fanny's home and family had changed a lot since she left when she was a girl, or do you think Fanny was the one who changed the most? 2. Just for fun: What sort of conclusion would you give to Susan's story if you were to write a sequel/epilogue for her? 3. Which character's growth or consequences (as described in the last chapter) brought you the most satisfaction? Of the Jane Austen books you've read so far, how would you rank them in order of preference? 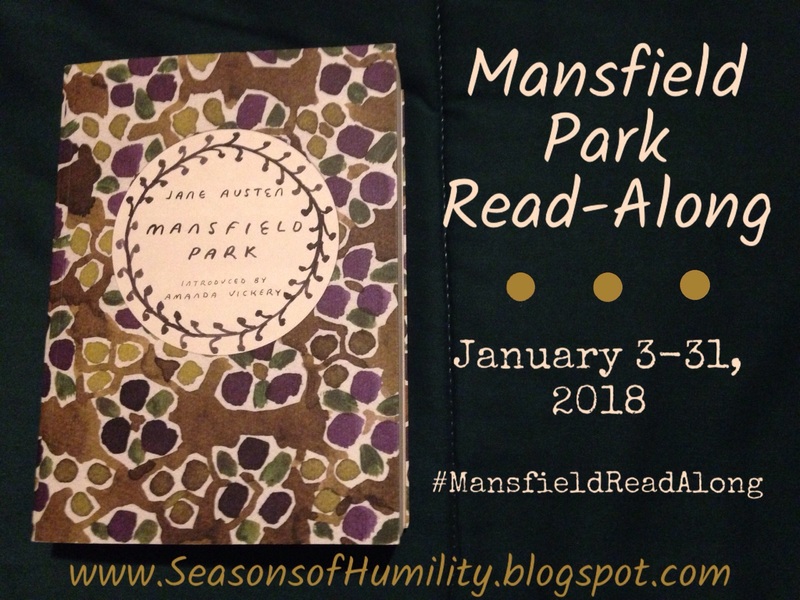 If you've seen an adaptation of Mansfield Park, which one(s) did you see and how did you like it/them in comparison with the book? I also ran a poll on Twitter to get an idea for what books we could read together after Sense & Sensibility, and it seems like L.M. Montgomery's stories are a popular choice. So perhaps we'll need to do a read-along of Anne of the Island and/or Emily of New Moon later this year! 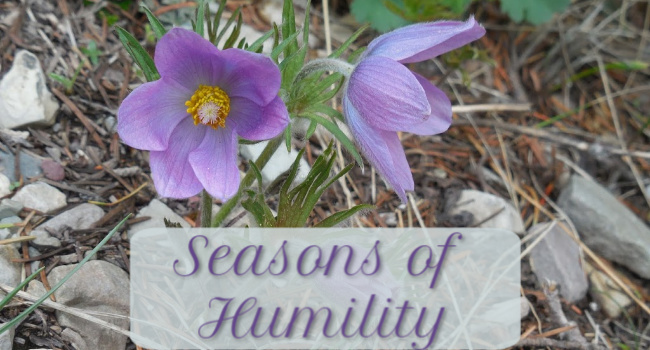 "He [Edmund] knows that human nature needs more lessons than a weekly sermon can convey, and that if he does not live among the parishioners and prove himself by constant attention their well-wisher and friend, he does very little either for their good or his own." "I hope you will like the chain itself, Fanny. I endeavored to consult the simplicity of your taste, but at any rate I know you will be kind to my intentions, and consider it, as it really is, a token of the love of one of your oldest friends." "The dejection which followed could only be relieved by the influence of fervent prayers for his happiness." "If we have been kind to her, she is now quite as necessary to us." This section was rather long...and dominated by Mr. Crawford's pursuit of Fanny. I am so torn over the direction of the story and the choices of the characters! I like Sir Thomas and Edmund, and yet I feel bad for how they're pressuring Fanny. And Edmund...I'm bummed that he still has his heart set on Miss Crawford. On the other hand, I do appreciate that the characters are complex, and are likable and decidedly unlikable in turn. Part of me applauds Fanny's conviction, even in the face of very difficult opposition and guilt; she knows deep down that Mr. Crawford is still the man who pursued Maria and Julia with no regard for the damage he'd do or the hearts he'd break. Another part of me wishes that Mr. Crawford really did have a change of heart. Is that awful of me? Could I have so quickly forgotten what a cad Mr. Crawford is? I guess it seems romantic to think that a "bad boy" could have opened his eyes to a wonderful woman and changed his ways. But we get enough glimpses of his true nature (in his pride, especially), and we hear enough admissions from his sister, to know that Fanny is being wise. If only someone else would understand and side with her! As for Miss Crawford, she's as frustrating as ever. I thought it was interesting for her to reveal that it was really her brother's idea to give Fanny the necklace. So...the one thing Edmund really admired Miss Crawford for wasn't even her idea! I think it was really sweet of Sir Thomas to host a ball for Fanny and William. And I'm happy for William as a lieutenant. If only it didn't have to be due to Mr. Crawford... It's funny, because this is so incredibly different than Pride & Prejudice, and yet Mr. Darcy did things to help out Elizabeth's family, and he truly is a hero. I guess the difference lies in the proper motivation and a sense of humility, which are decidedly lacking in Mr. Crawford. I am definitely curious to see how everything works out in the last part of the book! 1. Which character do you feel most strongly about at this point—in either a good or disapproving way? What makes that character especially stand out to you? 2. If you were in attendance at the ball, how would you occupy your time? Would you dance the night away, or would you prefer observation and conversation? 3. What advice would you give Fanny in handling Mr. Crawford's pursuit? Join us next Wednesday for our final discussion! Well, the conclusion of Volume I brings an end to the theatrical scheme at Mansfield...and an end to an era, in a sense, now that Sir Thomas has returned home at long last. With the beginning of Volume II, we see several people leave: Mr. Yates, Mr. Crawford, and Maria and Mr. Rushworth, now married and taking Julia with them for a time. This paves the way for Fanny to be brought into the spotlight—against her will, for the most part. Just because the play ended before it could really begin doesn't mean the drama has ended at Mansfield, that's for sure! I feel quite sad for the marriage between Maria and Mr. Rushworth; pride and a need for independence hardly make a strong foundation for the future. And the fact that Maria wants her sister with them on what appears to be a honeymoon of sorts doesn't offer much hope for a growing love and intimacy. I thought it was really sweet that Sir Thomas actually approached Maria, wanting to know her thoughts and encouraging her to be open if her impending marriage was no longer what she wanted. But then, he's hardly disappointed when she still chooses to get married, and it's a bit frustrating how Sir Thomas justifies the relationship and clings to his own sense of gain in the matter. Alas! And then the man who did such damage to Maria's and Julia's hearts returns...wanting to claim Fanny's, solely for the sake of conquest. Poor Fanny! Her brother's arrival is both a blessing and a curse. So far it seems to preoccupy her and keep her from dwelling too much on Mr. Crawford; but her obvious affection for her brother is only endearing her to Mr. Crawford even more, which is not a good turn of events. As for Edmund and Miss Crawford, I'm not sure what to say. Miss Crawford has her moments of kindness, in a sense, but her friendship with Fanny stems from boredom and a need for company. I don't know if Edmund is learning any lessons from all that's already happened. He's so blinded by his infatuation with Miss Crawford. 1. If you were one of Maria's parents, what might you have said to her before the wedding? 2. What are your thoughts on the friendship between Fanny and Miss Crawford? What would you recommend to improve their relationship? 3. Consider Mr. Crawford's sudden interest in Fanny or Edmund's admiration of Miss Crawford. What makes them so attractive to these guys? What would you consider to be valid reasons for falling in love? Join us next Wednesday for our third discussion! Did you make any New Year's reading resolutions? 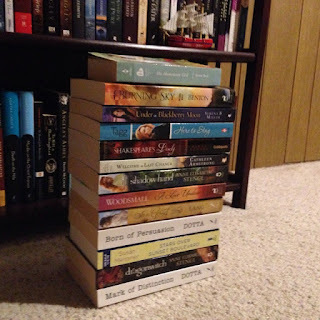 I have a few goals...not ten, although there are more than ten books on my TBR, if that counts. ;) Be sure to check out today's post at That Artsy Reader Girl to see other bloggers' resolutions and join the Top Ten Tuesday fun! 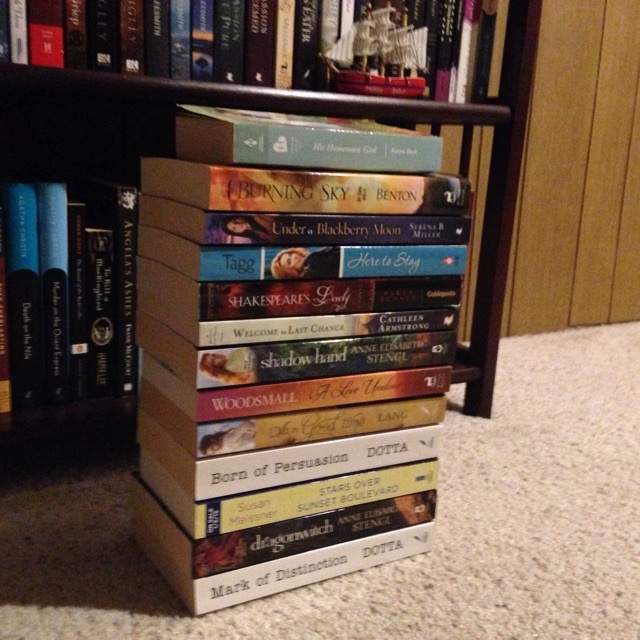 Thanks to the Mansfield Park read-along, I'm already on my way to completing this goal! 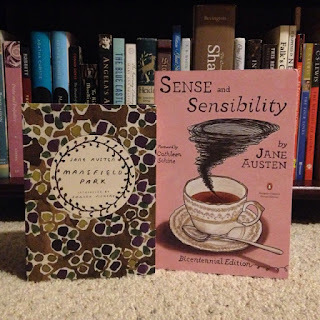 Once I finish these two books, I'll have read all the main works of Jane Austen. (There are other writings, complete and incomplete, but it will be great to have read all her main novels.) And the really cool thing is that I'll have read all of those books with you, those who have participated in the Jane Austen read-alongs. :) So fun! This goal comes with a shameful confession... 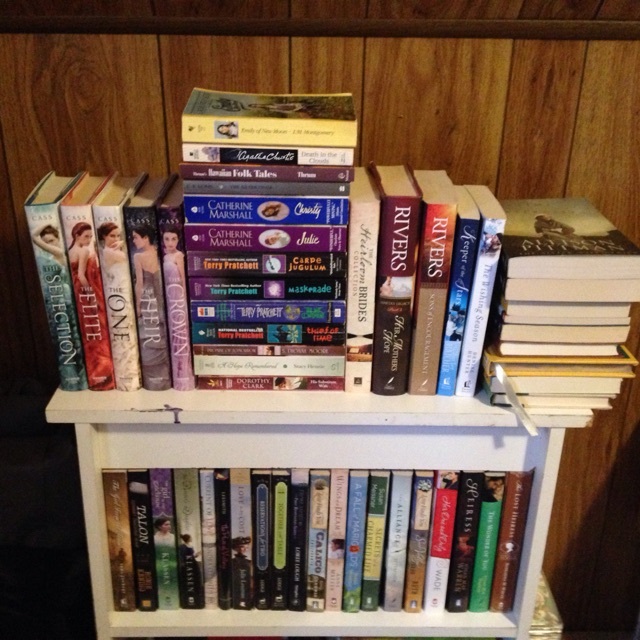 I have too many review books that I've never read or reviewed. :( While some in this picture are ones I received unexpectedly or from giveaways, some are ones I requested, which makes it even worse that I haven't reviewed them yet. Judd Markley knows he can never set foot underground again. The mine collapse that nearly killed him and claimed his brother's life means leaving West Virginia forever. Although that hard Appalachian world is all he knows, he puts it behind him and heads for the open sky of the thriving town of 1954 Myrtle Beach, South Carolina. 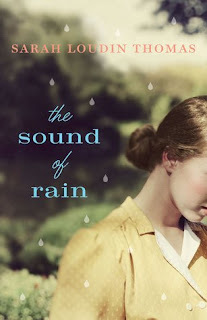 With an echo of some elements from Christy by Catherine Marshall, but a cast of characters with a story all their own, The Sound of Rain enchanted me. Not all at once. I liked the writing style from the beginning, but it's a gentle read, like comforting rain tapping on the roof—even through the suspenseful scenes (including facing a hurricane or the terror of a dark mine). I think part of it is because the story is more concerned about the bigger themes and doesn't let temporary things sidetrack the message. I loved the two main characters (even though Larkin takes a bit of getting used to, with her recklessness and stubbornness). It's their interactions with the people in their life, including each other, that make the story sparkle, even when those conversations or kindnesses might seem ordinary or mundane. This is a story about learning to love wherever you go. It's about seeking after what's important and not getting so distracted that your real life slips by. It's a sweet romance that tackles the tough questions about whose dream to follow and what togetherness can accomplish. Meet Judd and Larkin, their families and friends, and stop for a moment to listen to the rain stirring life in ready soil. Summing up our thoughts on twelve chapters is going to be difficult, I know! There's a lot that happens...so much to comment on regarding this very interesting cast of characters. I'm not sure any one really stands out as overly likable to me, other than Fanny. Edmund has me quite torn, as there are lines and moments where he seems to really shine. He obviously cares about Fanny, and his active kindness to her makes all the difference in her experiences at Mansfield Park. I love when his affection becomes apparent; how he defends Fanny, fights for her need to get out, exercise, and be a part of things. And what's most important to Fanny (like her brother), Edmund shows great respect and attention toward. Still, I suppose it's a realistic scenario, and Miss Crawford gets Edmund to examine and share his beliefs; she paves the way for thought-provoking conversations. I think Fanny can do that too, especially with her extensive reading and book knowledge, but her views have been so shaped by Edmund and are so similar to his own that she probably doesn't challenge Edmund in the ways that Miss Crawford does. And a man does enjoy a challenge, doesn't he? As for the other characters and their relationships, I'm not sure what to say. I feel bad for Julia having to compete with her sister for a guy's attention, while her sister already has a fiance. But then, both Julia and Maria are so focused on pride and status. I feel bad for Mr. Rushworth and his mother, who are stroking Maria's ego while her heart has wandered down a completely different path. Mr. Craword should have stayed home. Buuuut now he's back, which does not bode well for the girls of Mansfield Park. And then there's Mrs. Norris, who seems to be getting along just fine without having to sacrifice for anyone. But the selfish road is bound to be a lonely one, lacking in meaning. It's too bad she missed out on getting to know Fanny and having such a sweet companion. So far, I'm enjoying the read. I'm hoping to see Fanny grow in confidence while maintaining her gentle nature. And while it would be satisfying to see certain characters open their eyes before it's too late, it will be interesting to see exactly where these not-so-ideal paths lead. 1. Would you consider the Bertram family taking in Fanny to be a kindness in the long run? If so, why? If not, could it have been a kindness if they approached things differently? 2. If you were a governess teaching the Bertram children and Fanny, what lesson would you specifically choose for each of them (as kids or adults)? Feel free to have fun with this! 3. Imagine you had joined the group on their visit to Sotherton. Which part of the tour would you most have enjoyed? Would we find you wandering the halls or meandering through the wilderness? Join us next Wednesday for our second discussion! The Doon series is endearing itself to me more and more. Shades of Doon is a great read, full of drama and uncertainty and opportunities for the main characters to grow. I love how the two heroines are obviously maturing as they see the bigger picture: what's really important and what it might cost to choose the right path. The faith element, while still somewhat subtle in parts, is becoming stronger as the series continues. This particular story inspires courageous living, tackles the weighty topics of sacrifice and humility, and provides plenty of adventure and danger (particularly with the cliffhanger ending). 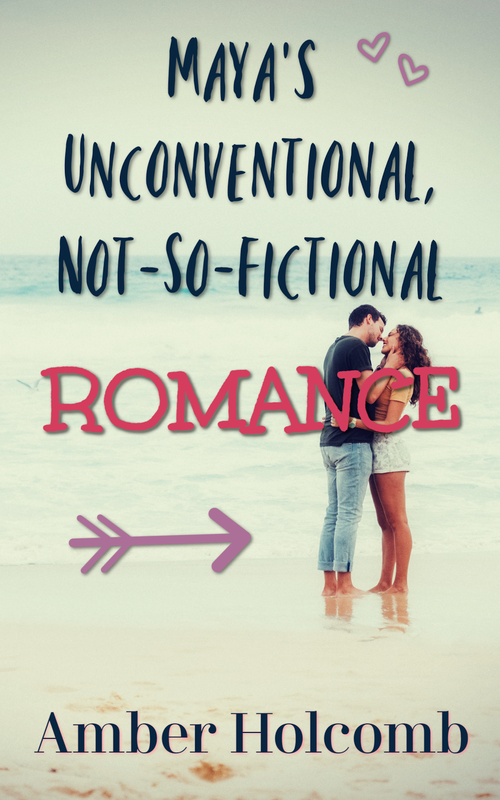 As for the relationships and romance...I found myself intrigued by the dilemmas facing the couples, and I'm enjoying their journeys. Their interactions are full of passionate care and hope. I'm eager to see where the next challenges take them! You'll definitely want to read the first two books in the series before diving into this one. 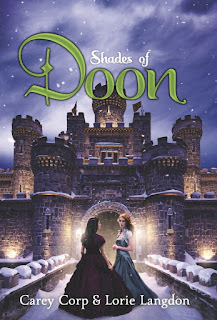 And once you're finished, you'll be beyond ready for the final book in the series, Forever Doon. I know I am!